I've been blogging for nine years. 2012 sees this blog going into its tenth year, which surprises me as much as anyone else. So, here's my second year of looking at which blog posts received the most views. Yet again posts on Max Roberts' great curvy Tube map from previous years made it into the top 10 - his original post from June 2007 and a post where he revisited the map in February 2008. If I take those posts out, here are the most visited posts, written in 2011, in reverse order. With big thanks to Neil Gaiman for Tweeting & ReTweeting about this, my end of year "Guess Where Tube" post, where I asked people to guess where the picture of this Tube mouse was taken, got into the top 10 (which isn't bad for something I only wrote in December - shows the power of a celebrity Tweet & ReTweet - Neil has over 1.6 million followers on Twitter). Amazingly, after all the traffic and guesses, no one got the answer right. It was Holborn! 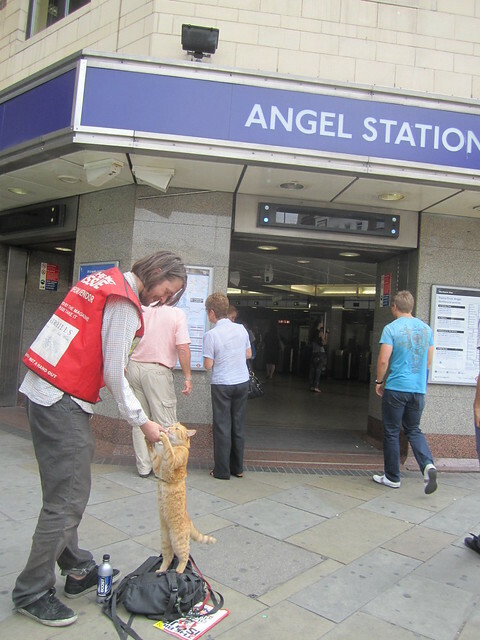 It's my favourite Tube story of last year and got a lot of publicity from sites like Catster sort of like Facebook for cats. His book is published in March this year, look out for some posts on that. 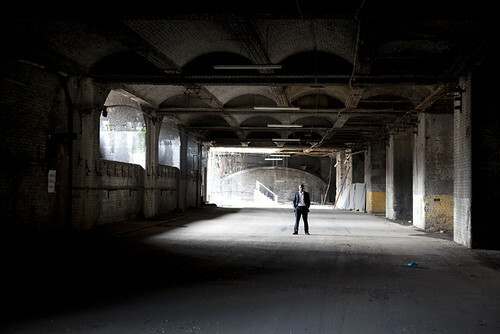 My interview with Ajit Chambers about his plans to re-open disused London Underground Stations. It was one of the first longer interviews with Ajit about his plans. Lots of people Tweeted about it and consequently it got publicity in the wider press, becoming a hugely popular topic which the vast majority of people would like to see realised. Look out for more on Ajit's meetings with TfL and the Mayor this coming year. Old Street Tube enter the "battle" between Tube stations to see who has the best messages on white boards. Old Street gave up pretty quickly, so Angel Tube, Caledonian Road, Warwick Avenue, Oval & Shoreditch London Overground can carry on knowing that it was probably just a bit too popularist for a hip station like Old Street to continue. 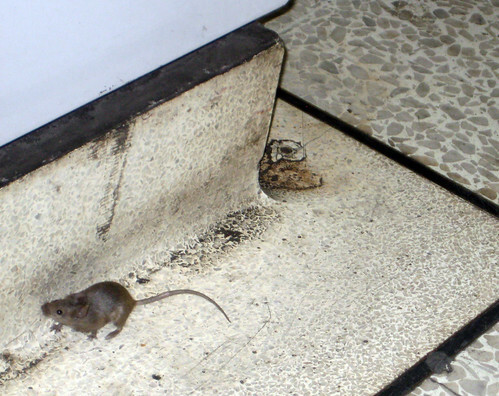 A cautionary & grisly tale about someone who was smoking on the Tube. A London Undergrond passenger was decapitated when he fell while standing between two carriages trying to have a cigarette. TfL do some star gazing and attempt to show us London's Tube & Rail Network Map for 2015 and 2019. 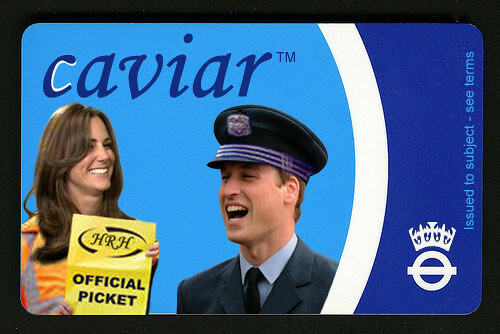 As much as we would have liked the Royal Wedding Oyster card to have looked like the above mock up, it didn't. 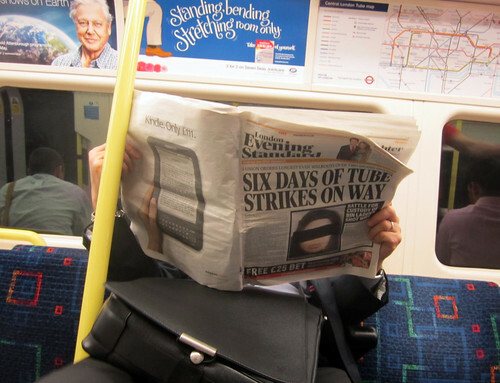 Sadly Tube Strikes or the threat of them dominate my top three - largely due to a shedload of people searching for news of them. My post on a late June Tube strike was third most visited. After all of the air time & strike action in June, the strikes for July were called off. That's it. Thanks to all the comments, tweets, follows & ReTweets over the year. Thanks to everyone who keeps visiting the blog and has been doing so for the last nine years. And a special thanks to all those who send me fun (and not so fun) London Underground stories, pictures, mash-ups, app news and videos. Please keep them coming. Here's hoping that 2012 will bring as many varied Tube stories. 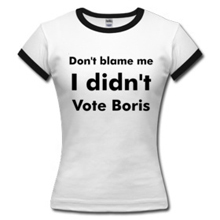 I imagine that posts on the Tube related to the Olympics and the Mayoral elections will feature strongly in the coming year.